Can You Recommend Crystals For My Husband's Stomach Pain? Husband has had results of CT scan showing a shadow on his stomach. He's in a lot of pain. Thanks for suggestions. I am a Reiki master and will use these crystals to help with healing. Any other suggestions would be helpful. I am sorry to hear that your husband has been in so much pain. 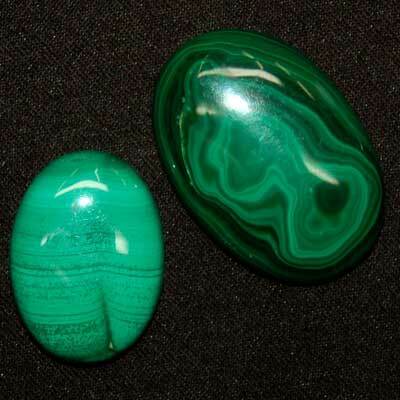 Malachite and Jet are great stones for stomach pain and can help if it is more serious too. You could also try using Clear Quartz. Clear Quartz is a master healer and also amplifies other energies. Try placing the crystals directly on the site of the pain to draw it out or give him a crystal elixir. (Here is more detailed info on this) You should use these crystals along with Reiki for even better results. Also, please remember that when using crystals for healing, they will be more beneficial when cleared regularly. I hope this information helps him to feel better. I will also send him some healing energy. Please let us know if you have any other questions. May your journey be blessed with Love and Light.